This week we are celebrating our country’s founding and traditions. It is good we stop and take time to reflect on the wisdom, sacrifices and dedication of the great Americans that built and fought for America. Baseball is also steeped in traditions. Baseball is an American sport and has evolved enormously over the last 100 plus years. Our local youth baseball organizations are drenched in traditions too. Many of these traditions are not in the best interests of the kids playing baseball today. Over the past 50 or 60 years the adults in youth baseball have gravitated to the allure of state play offs, national World Series, tournament trophies and all-star teams. This adult attraction to fame and glitter is at the expense of our ball players and player development. Why do we keep following these baseball traditions for youth baseball? It is mostly because nobody knows any other way. For those that do look at better alternatives they usually get some snap beat down like, “This is how we have always done it around here,” which is the common response to anyone that dares tamping down the culture of winning at all costs. Few folks have the will or knowledge to veer off of traditions or make new ones. The family traditions of generations in youth baseball with the allure of championships are all the adults really know. 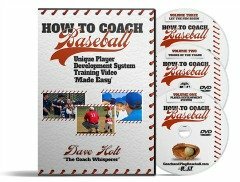 The entire enterprise of youth baseball in primarily designed to please and entertain adults. Providing a platform for baseball players to ‘just play’ is not really an option. Strategies for Local Baseball Organizations to add traditions that improve player development systems. Can Baseball Traditions Ever Be Adjusted? 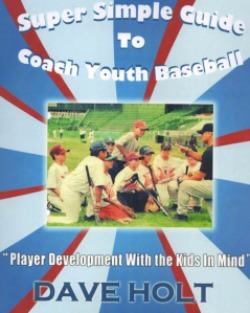 How do we ever change some of the youth baseball traditions and make it a more favorable to player development? What would local baseball look like if we had a reset button and got a chance to start over from scratch? By giving the adults another point of view. I think our country’s founders got it right and I would not change a thing in our founding documents. I also think that the founder of Little League baseball, Carl Stotz, had it right in 1939 when he started his first little league teams. Many of our baseball traditions are here to stay, good and bad. I get that. I do have plenty to say about working with the system we have and assisting the adults to make the local culture of player development systems better for the kids.